10 Apr 2019 --- Taste and nutrition company Kerry has released its new foodservice report, Social Media’s Impact on Key 2019 Foodservice Trends: #FoodserviceTrends2019 in advance of the 2019 National Restaurant Association show in Chicago, US. Utilizing social listening tools, Kerry analyzed four foodservice trends publicized in the industry as trends-to-watch in 2019: healthy fats, fermented foods and drinks, bitter ingredients and crafted beverages. According to a 2017 Innova Market Insights consumer study, novelty and variety is driving positive purchase behavior for one in ten European and American consumers. 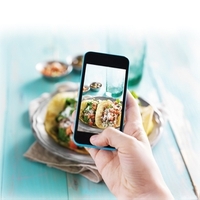 Social media is driving food purchases with one in ten consumers from Mexico, US, Canada, Spain, the Netherlands and Australia influenced by social media to purchase food and beverages. In the Foodservice Trends report, Kerry reveals how consumers are interacting, adopting and engaging with these trends through their social media behaviors. “Social media listening is a powerful way to get a unique perspective on how consumers talk about food and beverages in real life conversations, leading to business-changing insights,” notes Elissa Rempfer, Senior Marketing Research/Insights Manager – Foodservice for Kerry. Rempfer tells FoodIngredientsFirst that Kerry focused its study on Twitter and Instagram. Kerry partnered with Brandwatch to review social media activity impacting key foodservice trends. Analyzed in February 2019, this study evaluates the social media activity conducted from November 1, 2018, through February 12, 2019. The review takes into consideration mentions and demographics. The impact of social media’s on foodservice is so prevalent because the consumer is always connected, she notes. “Millennial and iGen consumers, in particular, are driving the trend of snapping photos of unique and adventurous ingredients and flavors, such as beets, matcha and turmeric and posting to platforms such as Instagram and Twitter. Bright and bold colors are powerful drivers for Instagram, while social media platforms, in general, expose consumers to new types of food and conversations about those trending foods and beverages,” Rempfer explains. Kerry’s Foodservice team expects these foodservice trends to rise as conversations about bitter ingredients, healthy fats, fermented foods and drinks and crafted beverages continue to grow. Novel menu items, “Instagrammable” presentations and functional ingredients all play a huge role, she says. Additionally, consumers are becoming more aware of the importance of gut health and the benefits of the fermentation process. Nutritional ingredient companies have been quick to respond to this trend and are now offering a whey protein isolate with prebiotic-promoting properties, tapping into the interest in the gut microbiome. Fermented products are also increasingly seeing growth across different market categories and are revered for their digestive health benefits coupled with their high protein status. Innova Market Insights date note that there has been an 18 percent average annual growth of food and beverage launches tracked with a fermented claim from 2013 to 2017. “We see fermented foods and drinks are making their way into consumer’s day to day diets. Consumers are starting to embrace these products due to the nutritional benefits of helping support gut health,” says Rempfer. In February, Kerry reported that it was eyeing further growth opportunity in the foodservice space, with plant-based trends and social media sharing creating new potential for operators within this dynamic environment. “With our deep knowledge in food & beverages and innovation, foodservice is leading in essence and ahead of the curve in adopting trends. It is therefore a very important market for us to focus on,” Karl Buiks, new VP of Foodservice, Marketing & Strategic Planning, Kerry Europe & Russia, told FoodIngredientsFirst at the time. Last year, KerryDigest reported on how digital proliferation and innovation have given rise to the more connected, always-on consumers – who are using social media as a platform to follow influencers that reflect their ideal lifestyle and also as a vehicle to build their persona. As the food and beverages industry gears up for 2020, addressing the needs of an empowered consumer will increasingly be in the spotlight. Social media platforms will continue to be at the forefront of importance as users voice their experiences and preferences over internet platforms.